Drunk Flamingo is a character I designed. This drinking flamingo is available to be licensed. 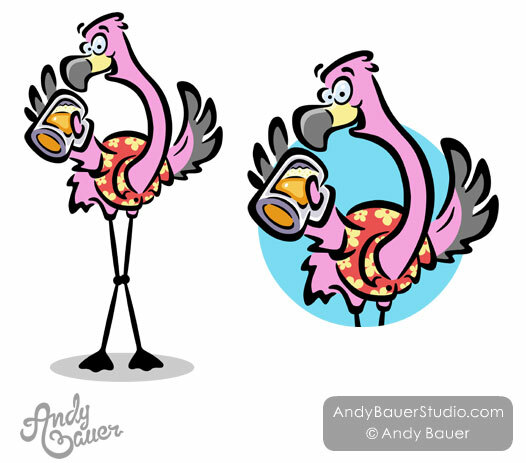 Please contact me if you’d like to use this beer drinking flamingo on your shirts or any other product. This entry was posted in Advertising, Character, Illustrations, Logos, Merchandise, Tee Shirts. Bookmark the permalink.